The 25% off promotion in Waitrose in Spring saw a lot of feverish buying amongst wine-pages visitors: unlike those half-price leather sofas and kitchens, this is one sale that does exactly what it says on the tin. On now and running until 11 November 2009, Waitrose Wine Direct (waitrosewine.com) has taken 25% off of absolutely all wines except en primeur wines, gifts and their wine club. But that means everything else is down by 25%, and with free delivery on all orders to any location in the UK, it seems like a genuine opportunity not to be missed. Note also that the same promotion will run in stores: 25% off the full range of wines as above. To see what’s on offer, visit waitrosewine.com. The 15th of November sees the annual Hospice de Beaune chartity jamboree, when barrels of Burgundy are sold off in a fun-packed weekend in the region’s capital city, with proceeds going to various charitable causes. Now in the 149th year of the Hospice, it is possible to participate in the auction even if you cannot make it to France thanks to the house of Albert Bichot which has been the top buyer at the auction for the last 10 years. 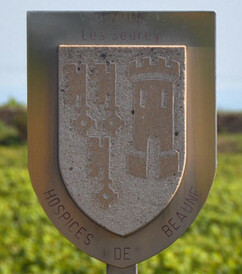 Bichot is offering individuals the opportunity to bid on wines via its specially created website, www.hospices-beaune.com. Through it you can prepare a purchasing strategy with the advice of a ‘personal shopper’, follow the auction in real time on 15 November 2009 and connect with other wine lovers to arrange a part-share in the barrel of your choice. The wine will be purchased by Bichot on behalf of participants and matured in its cellars in Beaune. It is also possible to view the catalogue for the auction and place bids via the Christie’s auctioneer’s website. Louis Jadot has launched an art collection to celebrate being “150 years young.” The 2009 vintage is the 150th for Jadot and the 40th for winemaker Jacques Lardière. To celebrate Jadot has launched a collection featuring vineyard and winery images. These will be available as prints and images for Louis Jadot customers and enthusiast on cotton canvas or heavyweight photographic paper. The prints come in a choice of sizes from ‘small to ultimate’ and are priced from £22 to £137. UK agent Hatch Mansfield will be making the collection available via independent retailers and at tasting events throughout the country. Regular readers will know that wine-pages’ Tom Cannavan has close connections with Georgia, being Chairman of its National Wine Competition since it began in 2006. News reaches us that the ‘Georgian Wine Society’ has been launched to so that “British wine drinkers will beable to discover the delights of wine’s birthplace, while helping EveryChild’schildcare programs in Georgia.” (10% of all the Society’s profits go to the charity). The press release does not make it clear, but it seems the Society is bssically a commercial company selling Georgian wines in the UK, so I am not at all sure what the ‘Society’ refers to and it might have been more clear-cut to simply state upfront that this is a retailer of Georgian wine. But the charitable element is substantial and makes it of interest: Georgia is a country that has had its fair share of political and economic woes in recent years. 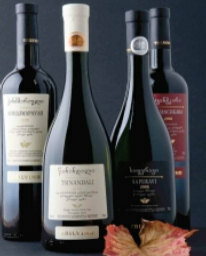 There is more about the Georgian Wine society at its web site: www.georgianwinesociety.co.uk.